Over the past two years many said they fear there isn’t a strong bench in the Democratic Party. To my thinking they have been proven wrong. 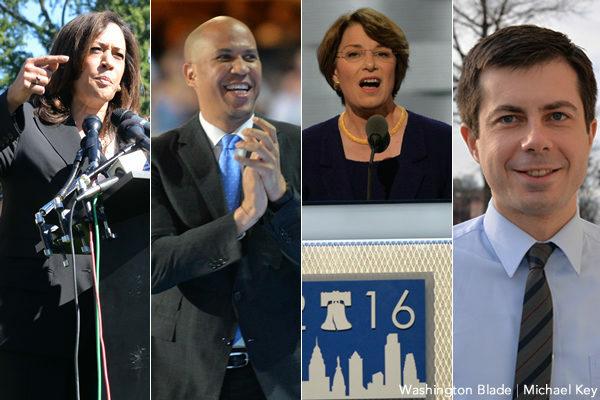 All we need do is look at the array of candidates who have already announced they will enter the Democratic primary including Sen. Kamala Harris, Sen. Cory Booker, Mayor Pete Buttigieg, former Rep. Beto O’Rourke, Sen. Amy Klobuchar, former Gov. John Hickenlooper, and Gov. Jay Inslee to name just a few. They represent a diverse set of backgrounds; there are women, minorities and even a gay candidate. What they all have in common is they are smart and looking to serve to ensure more equal opportunity for all Americans. While they speak of a better future they have differing ideas on how we get there. They speak to the American voter in different ways and over the year we will see what resonates with those voters. They all recognize Trump and his policies are anathema to the future of America they believe in. They would all be wise to remember Barack Obama was elected on the slogan of hope and change, and try to reignite the feeling of hope in the voters that things can get better. As an older American myself I feel comfortable calling on the elders in the Democratic Party to realize we are at a crossroads in our country. Millennials and young people are going to be the biggest voting bloc in the nation. Like each new generation they think and view the world differently than we do. They may like the programs we elders rely on like Medicare and Social Security but may not feel they will be there for them. They also realize they will be paying into those programs to support us elders for many years. They legitimately will question the party if we continue to put up candidates who can be their grandparents or in many cases their great grandparents. I remember my excitement in 1960 as a 13 year old supporting John F. Kennedy. 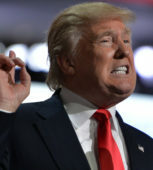 He was young, vibrant and someone I could connect with. Democrats win with younger vibrant candidates such as Kennedy, Carter, Clinton and Obama. In 2018 we elected a host of younger candidates to Congress. I am not suggesting those over 70 don’t have a role in the party — they do and an important one. They have worked hard to move us forward and in doing so gained their experience and wisdom. Sharing that with the next generation of leaders is important. We also want to know the next generation we elect recognizes that wisdom and experience and understands there are so many roles from issue advisers, to White House advisers, to cabinet secretaries they can fill. President Obama recognized he needed Hillary Clinton as secretary of state and chose Joe Biden as his vice president, both having years more experience than he did. Today, the youngest of the announced candidates is Peter Buttigieg at 37. Clearly if he were to be elected he would need the elders of the party to share their knowledge and wisdom. The same for the broad, diverse spectrum of other candidates like Harris, O’Rourke, Klobuchar, and Booker. I would think those elders would make the same decision Hillary Clinton has made and realize the time has come for them to step off center stage. I have seen columns attacking each of our candidates as they announce. Bringing up all their problems and making it clear we have no perfect candidate. But then there is no perfect voter. We each have our foibles and have each done things in our lives we would rather not have done or said. Attacking someone for being a cis white male of privilege makes little sense. He had no more choice in being born that way than someone of color or a member of the LGBTQ+ community. The focus should be on what you do with that privilege. The diversity of our candidates is exciting. I hope Democrats end up with a woman on the ticket. There are a number of qualified women running. Each of our candidates will have their chance to make their pitch to the primary electorate in the next year before the first primary. We should listen to them all carefully as they make their case. I will also try to think about how they will be able to make their case to the general electorate, which is different from the Democratic primary voter. For the good of the nation and the world we must defeat Trump and reclaim our government.